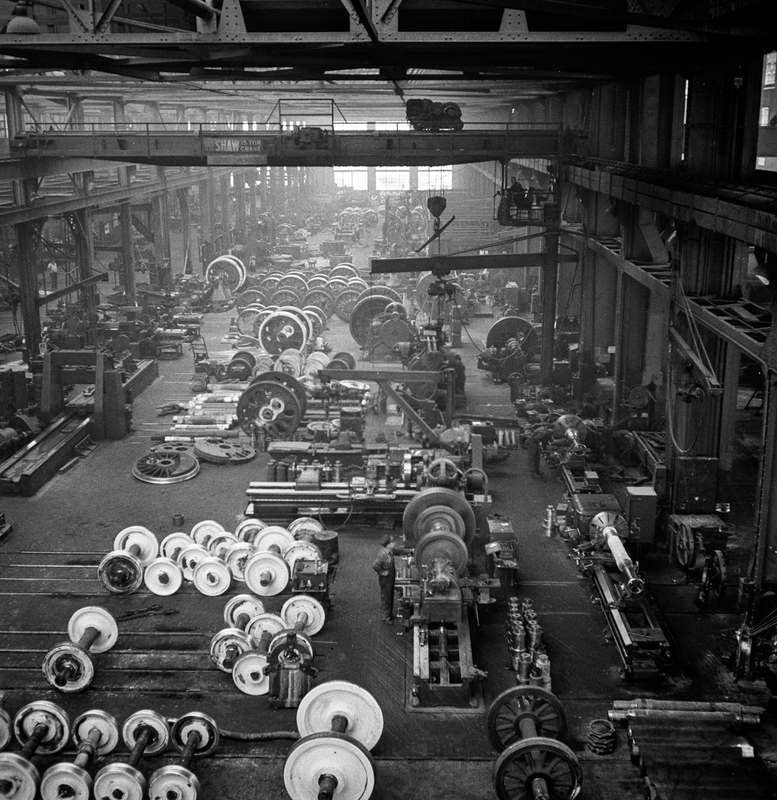 Wheel shop. Not sure what the significance of the white painted ones are – dummy ones for works use only? Or maybe ones that are waiting for machining / new tyres? This almost has a production line-like feel to it. 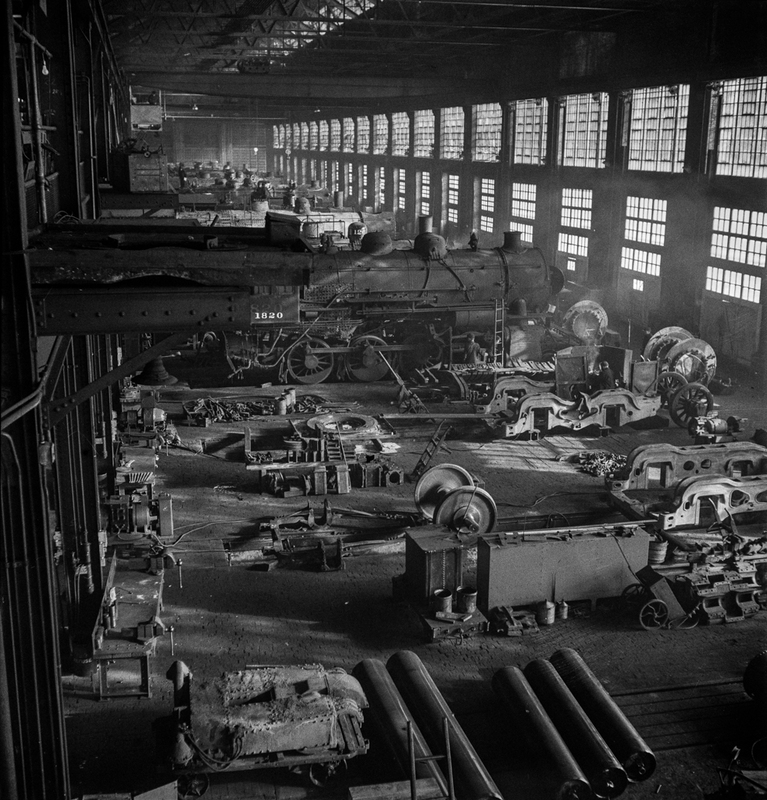 The workshop is clearly quite large and by british standards quite modern. Interesting to see the tradition of the bowler (or Trilby) hatted foreman crossed the Atlantic. I used to work at a place where this tradition had been consigned to history, as had the tradition which followed it which was a bowler hat logo stitched onto the foremans tie. 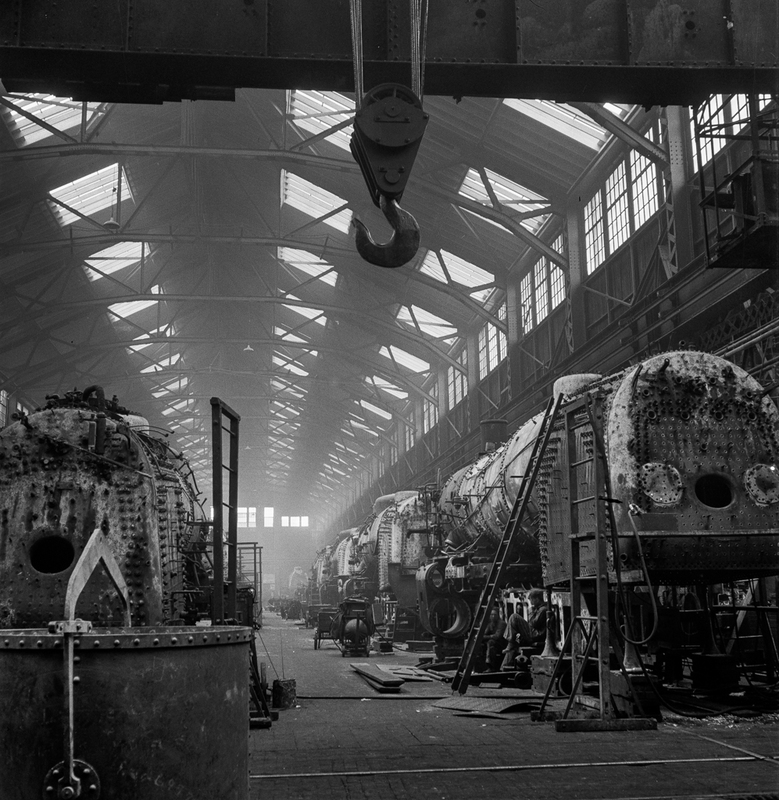 Not much going on in the boiler shop. My intial thought was it was taken early morning, but by the looks of the fitter sat next to the ladder, I guess it was brew time, one of those few occasions during the day when the places like this fall mercifully silent. I like these aerial views of the works. 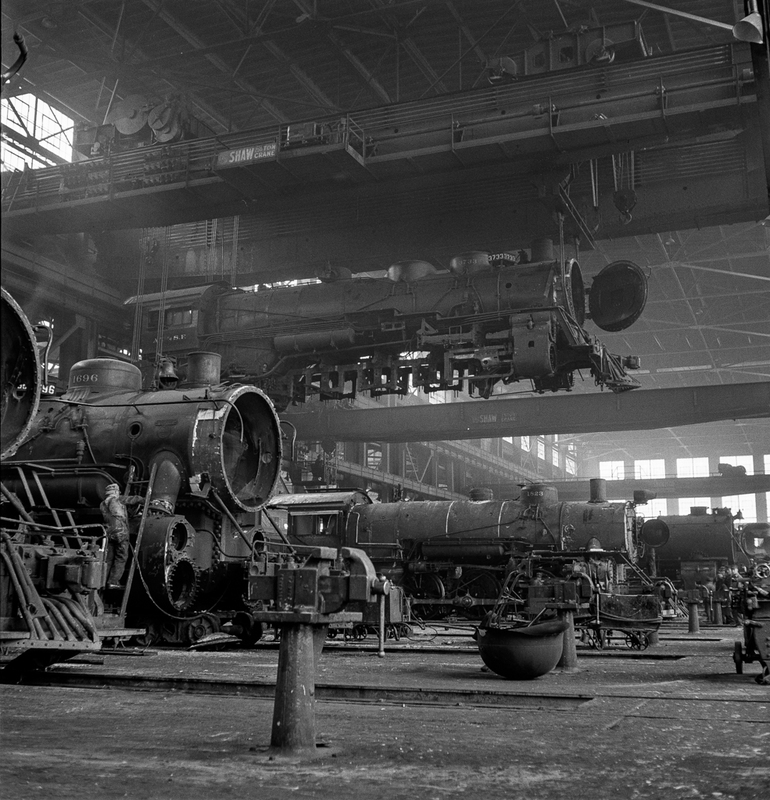 The repeating pattern of the engines, and their proximity demonstrates how busy the works was during the war. I’m guessing that this was a view in the opposite direction. The fenestration allowed lots of light into the works, something that you don’t really associate with those in Britain. 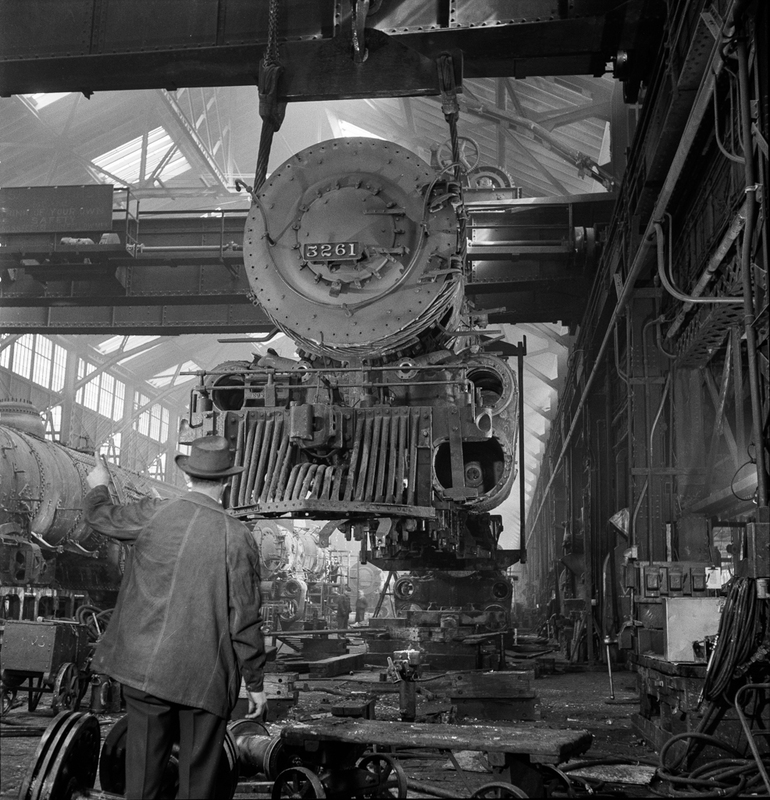 I posted up some images of the Chicago and North Western Railroad workshops a few weeks back, and these are similar in style and content. 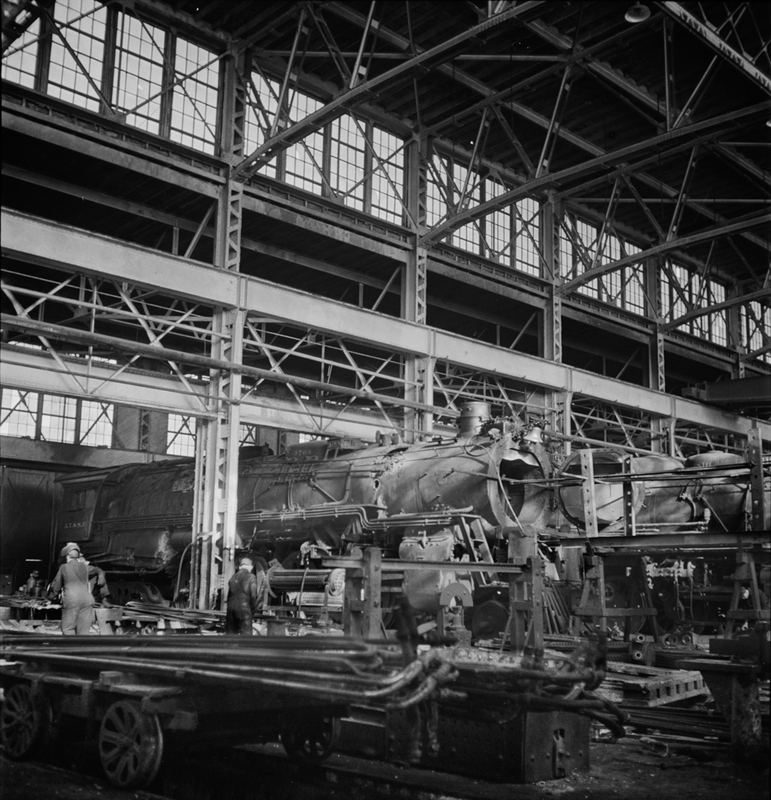 These were taken in the Albuquerque workshops of the Atchison, Topeka and Santa Fe Railway, again during the second world war when the American railways system was busy shipping men and materials across this giant country. I think I actually prefer these as they have more visual drama than the other set. 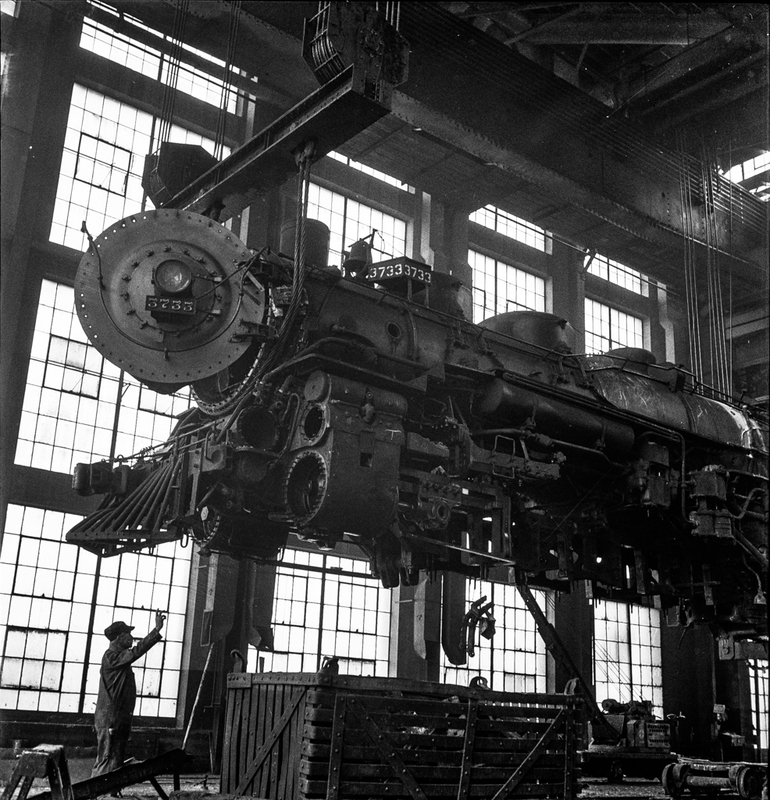 By that, I am thinking of the way the photographer (Jack Delano again) uses the monolithic size of the unwheeled engine being lifted around the works like a toy in the first and fourth image, as well as the visual repetition of the engines and windows in the others which emphasises the not insignificant size of the erecting shops. 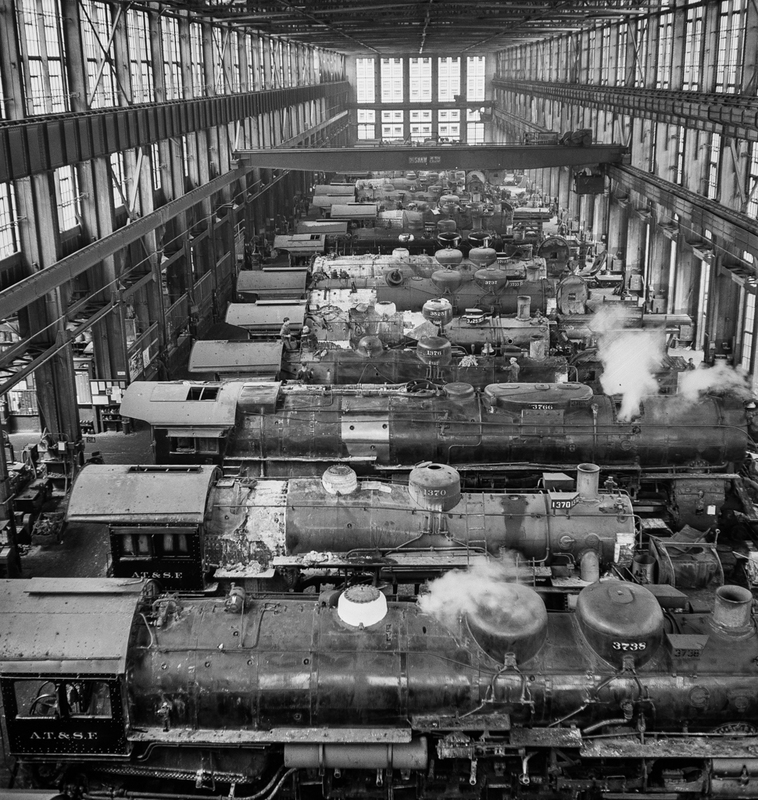 OK, it’s not on the same scale as the GWR Swindon works, but it’s not a backstreet machine shop either.